A high risk merchant account is an important account-type for a wide range of enterprises today as it allows businesses to receive payments in a variety of ways, typically through credit and debit card payments. This type of account is usually approved or granted by banks and other merchant processors to aid electronic payments through the transfer of funds between customers and the merchants’ bank. However, not all businesses or industries are considered safe enough to own a merchant account. A few factors are considered before the application of a business is approved for a merchant account. Factors such as personal credit, profitability of the company, tax liens, and certain business-types can affect the level of risk of a company – and merchant accounts approved for such businesses are known as high risk merchant accounts. 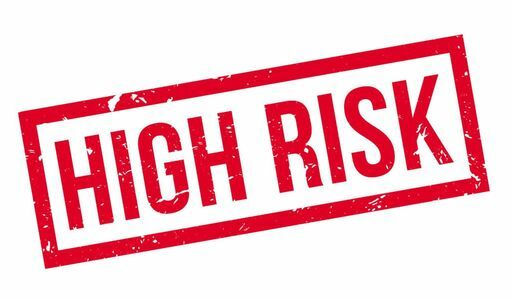 Other businesses that may be considered high risk include those that may delve into a new or untested industry, companies that sell to other countries different from their base, or a brand new business with no credit card processing history. High risk merchant accounts are different from regular personal accounts, and they typically receive different rules and pricing structures that they must abide by. If your business is considered high risk, you do not need to panic as you will still be able to operate your business normally and get credit card processing for it. Banks may request for more business financial details and background information, and some banks may even request for higher processing rate due to the risk. More so, some banks may also ask for reserve on your credit card. However, getting a high risk merchant account is still worth it in the end. In the long run, the positives outweigh any downsides. In fact, the ability to allow payments through credit and debit cards is a very important benefit. Consumers simply make payments for products and services using a credit or debit card, so a business without credit card processing capabilities will suffer a lot of losses in the end. Banks and merchant processors carry out a lot of background research before a merchant account is approved for a business as it comes along with huge risks. As such, it will take even longer for a high risk merchant account to be approved by a financial institution. While these financial institutions do their homework before approving a high risk account, it is important that you do yours too. All merchant accounts hold significant similarities, but they are not all the same, so it will be ideal to get the best possible deal for your business. For starters, you must be careful while choosing a merchant account provider. It is important to settle for one that charges reasonable fees while providing top quality service for your customers. HRMA-LLC is a leading high risk merchant account provider that has successfully distinguished itself in the high risk merchant processing space, also specializing in high volume merchant accounts and high risk ach. With decades of experience in serving practically every business type, we understand the wide range of issues associated with high risk accounts – and we are here to assist you. Whether your application has been turned down for payment processing or you have been shut down by your current processor, we have a solution specific to your situation. We understand that there can be mitigating circumstances such as chargeback ratios and exponential monthly volume growth that cause merchant processors to shut accounts down. We hold nothing against you in ensuring we resolve all of the lingering issues you experience and get your account approved. What’s more, our payment platforms include ecommerce gateways, CRM integrations, virtual terminals, and credit card point-of-sale solutions – designed to give you and your customers nothing short of the best as we continuously strive satisfy all of your payment processing needs. What are your merchant account needs? Call us today to discuss with our merchant account specialist – and you can rest assured top-of-the-line customer satisfaction. At HRMA-LLC, we do not only provide quality at fair rates, we provide the platform for your business to soar.